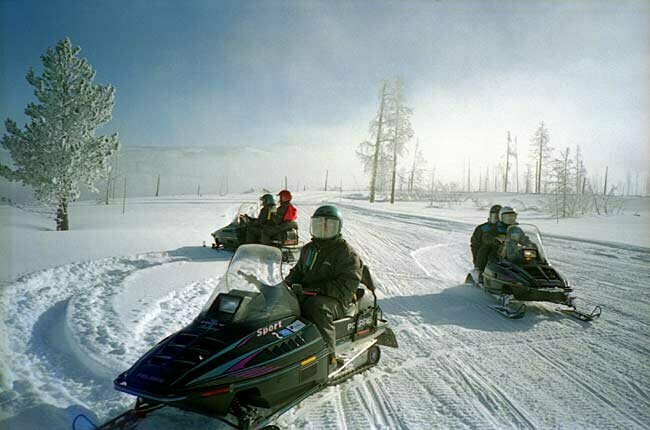 Snowmobiles must stay on the roads or in pullouts at all times in Yellowstone Park. There are hundreds of snowmobiles in the Park on a typical winter day. Such heavy use of the machines has been controversial but visiting the Park on one is a lot of fun! The park service has considered banning the machines since they're noisy and polluting.